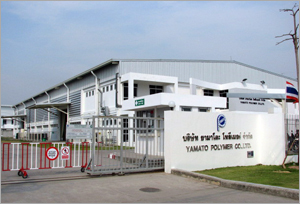 Back to Fact-Link's Top Page > Rubber Part Process > YAMATO POLYMER CO.,LTD. Dedication to reform of sense with challenging spirits makes our Motto! We are keen to contribute to our valued customers by providing high-quality products at cheaper price while pursue to form " Good Employee, Good Company culture", not to mention, never fail to saying, "Appreciation・Humility・Guts".